Informatica software is a powerful tool which will greatly simplify Dataware house design, and several routine errands related to data conversion and migration (ETL – Extract, Transform, and Load), day-to-day maintenance and management. Informatica has a simple visual boundary. Everyone do most of the work by simply dragging and dropping with the mouse in the Designer with the help of Informatica. This graphical approach which is user-friendly makes it also very easy to understand, what is going on. 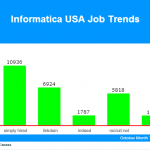 Are you hoping to learn Informatica 9.6.1, you have arrived at the right place. 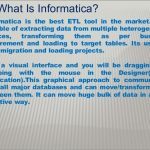 In this Informatica tutorial blog, you will learn essential to Informatica concepts in very simple way. On the other hand, you can watch the below video by our Informatica Industry Expert along with practical sessions. Informatica can communicate with all major databases; Informatica can also move or transform data between them. Informatica can move huge volumes of data in a very efficient way. 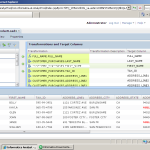 Informatica can bombard the transactions. It can effectively do joins between tables in different databases on different servers. 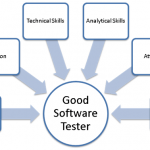 The tasks are performed by Informatica Server (Unix or MS Windows). You get a client application called “Server Manager” to work with the server.